The “..good works” spoken of here are those works through which Jesus contines His ministry in us and through us for the Glory of the Father and the benefit of the community (cf., Acts 10:38). As His adopted children, then, we form the Body of Christ and, thus, are also the Father’s representatives or envoys in world to continue the ministry of His Son so that the Glory of the Father’s love may be manifested through us to all humanity. It all begins with relationship. Only when we enter into the awareness that we are truly The Father’s Spiritual Children in Christ Jesus and enter into a personal relationship with the Divine can we begin to fully understand our inheritance in His Kingdom (cf., § Becoming Children of God). And that, through that understanding and the Divine Wisdom that comes with it, we may find our place and role in the here and now so that, through us, His Kingdom may indeed be manifested here on Earth as it is in Heaven. For just like children of the flesh in this world who mature to fill distinct and varying roles and positions of responsibility, so too, we, God’s Spiritual Children, are purposed by Him to be His Arms of Love extended to the world – the world He created and redeemed so that He could manifest His Kingdom in their midst. In His loving will He also has determined where and how are to serve Him and the spiritual gifts we will need to accomplish His will in this world. That is why it is so important that we discern our individual calling and ask for His Holy Spirit to empower us to carry out that calling. But we cannot do this outside of a relationship with Jesus and the Father. Lest we let this concept of being His instruments incorrectly exalt us, we must also be aware that this work is not to be accomplished by us, but by the Son of God who lives in us and works through us. He, and He alone, is the author and source of the work of the Kingdom. The only way we may participate in this work is through our complete surrender to Him and His Love. 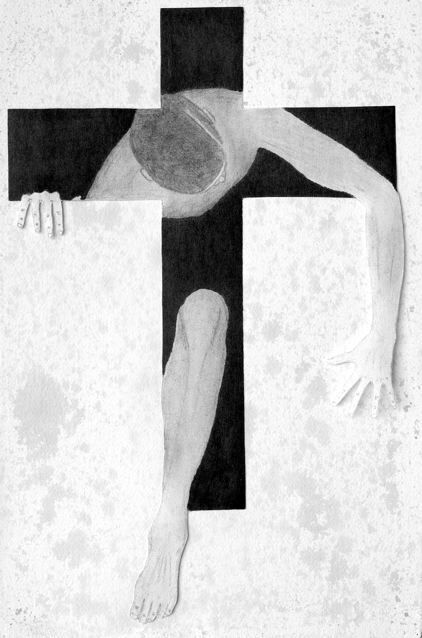 This surrender is not easy and is termed by Jesus as “ carrying your Cross”. Believe me it is a difficult cup to drink from because requires us to die our own self-sufficient mentality and enter into a God-centered mentality – where we acknowledge to ourselves that, “without Him we can do nothing” (Jn.15:5)! That is why the prayer form that Jesus taught His disciples (cf., Matt.6:7-13) begins with the acknowledgement that God is “Our Father” and that we, as His Children, are totally dependent on Him and His Glory and power. A recognition that, although His Name, that is His Character and Person, is Holy and beyond the reach of any human rapprochement, He, through His Son, has breached the gap of holiness that separated us, so that we enter into a full and true relationship with him through His Son! The prayer further states that, it is only through this relationship of obedience and love with Him, as Father, our source of life, provider, and sustainer, that we can be His instruments in bringing His Reign (Kingdom) into full manifestation in this world. But of course, before we can be channels of His Love, His Reign must begin in us through our full surrender to Him and His Holy Spirit so that He might begin the work of His Kingdom in us! The work of His Kingdom in us begins by His Spirit working in our lives to conform us to the image of His Son! Blessed be His Holy Name! Recognizing that it is His work that must be accomplished, we ask for His daily sustenance and provision. Although most of us take this request to mean “food for the table”, the reality is, that it is a request for His continual and daily spiritual empowerment, the infilling of His Spirit, to be able to carry out His Will. 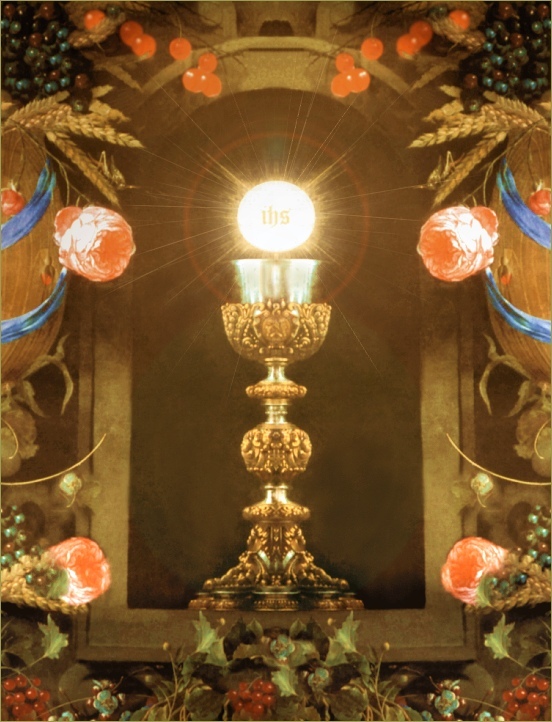 For us today, it refers to the living spiritual strength that is derived from communion with Christ in the Eucharist. In the prayer we also recognize that our human failings against Love are a major impediment to the fulfillment of His Will and therefore ask for His forgiveness, in accord with our forgiveness of those who trespass against us. In doing this we clear out anything in us that would impede His Will from being accomplished. Recognizing, also, that the enemy will come against us through temptations to impede the Father’s Will from being completed, we also petition that He not permit any testing that goes beyond our ability to resist. The reason this prayer, which we term “The Our Father”, is so important is because it is foundational to establishing the appropriate spiritual attitude of faith which underlies our ability to serve Him as His Children and fully committed disciples. That is why many have stated that this prayer really ought to have been named “The Disciples Prayer”. Or, put in today’s modern dialect, “ Do not let the worries and concerns of everyday life deter you … your first priority must be to let God reign in your life so that you are always faithful to accomplish His Righteous Will, then you will find that the worldly concerns in your life will be resolved appropriately”. Once, when through faith in His Word and Prayer, you have entered into an intimate relationship with the Father through Jesus and deeply desire to follow Jesus in discipleship, you will find that your need for a deeper continuing prayer life increases. Just as Jesus, spent most of his evenings or early mornings in prayer, so to we who are following Him, must do the same. We will do so, not so much as an imposed devotional practice, but instead to fill our awareness of the increased spiritual need for His presence in our renewed lives. As we go deeper into discipleship we will find that we will not be able to adequately deal with the events and situations which we are called to handle without our daily prayer encounters with Jesus and the Father. Once we begin our prayer encounters and see the results in our everyday lives, we will willingly seek out these payer times on our own – for we begin to understand that our continuous need to tap into the source of LIFE without which we cannot function spiritually. Once we have entered into true discipleship we will find that we can no more do without daily prayer than we can do without food or water. One of the problems we face as Lay Disciples of Jesus, is that the modern church is not structured to properly assist lay people, who are not part of the “religious establishment”, to follow the personal path of discipleship the Lord is calling them to follow. The modern church establishment does not expect lay people to enter into such individual callings. The establishment expects that any one who has such a call to either enter a seminary to become a priest, deacon, or minister or to join some religious order. It is difficult to overcome the prejudices of the past that have placed lay Christians as passive , un-empowered, servants of the clergy, having no understanding of things spiritual. It is only through hearing and living His Word, inspired by the Holy Spirit that we will be able to distinguish between our fleshly-driven instincts and the spiritual directives and revelations from Our Heavenly Shepherd. Praised be His Holy name! Now, I don’t discount our need of our earthly shepherds because they are still the dispensers of the sacraments, especially those of Reconciliation and the Eucharist. It is just that some of them cannot fully comprehend where we Charismatics are, spiritually, making it difficult for them to provide in-depth spiritual guidance for us when they themselves have never experienced the fullness and spiritual gifts of the Spirit and, in many cases, even resist them. I try to maintain good relations with all members of the clergy, but I usually feel them out before going into spiritual issues until I sense they are on the same page with me and with the Holy Spirit. I know its not their fault, its just that the depth of their spirituality varies depending on their seminary and life experiences especially if they have not been introduced to the Baptism of the Holy Spirit. 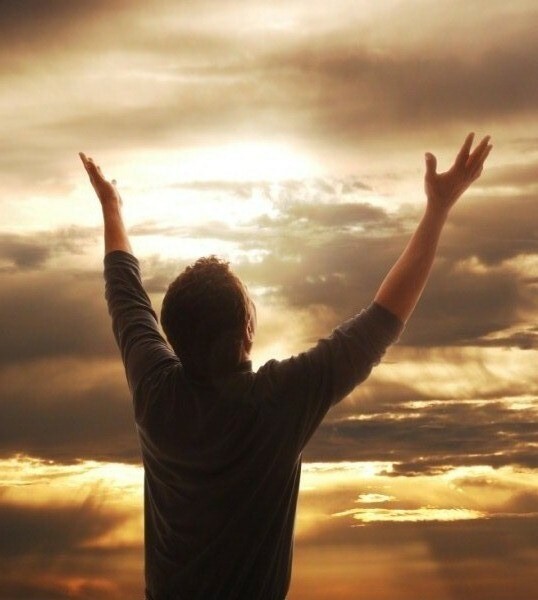 By the way, I expect that this spiritual lethargy that is still evident with some of our clergy will all be changing in the church of the new era we are entering, where the Spirit of God will overwhelm all Christians with His Glory and many of those who are now holding back will be surprisingly renewed in the Spirit. It will be a very difficult era for Christians and He is preparing us for those times when we will need to draw upon His power and strength to manifest His Kingdom on this Earth! I must also mention that If you are struggling with discerning the Lord’s Will in your life, obedience to the Father is of the essence. If you yoke yourself to the Lord He will bring you though the times when you are being tested because of the fleshly baggage we all have to contend with. Even the very smallest thing that we allow in our lives that is not under the control of the Holy Spirit is completely sufficient to account for spiritual confusion, and spending all of our time thinking about it will still never make it clear. Spiritual confusion can only be conquered through obedience. As soon as we obey, we have discernment. This is humiliating; because when we are confused we know that the reason lies in the uncertain state of our mind. But when our natural power of sight is devoted and submitted in obedience to the Holy Spirit, it becomes the very power by which we perceive God’s will, and our entire life is kept in simplicity. Yes, we also may claim a mundane familiarity with Him through your religious practice and even have worked signs and wonders in His name, but unless you personally “KNOW” Him, He will tell you when you come to His door: “depart from me you workers of iniquity, I do not KNOW you”. Relationship, then, is everything, and without it our works for God become meaningless for entry into the Kingdom. 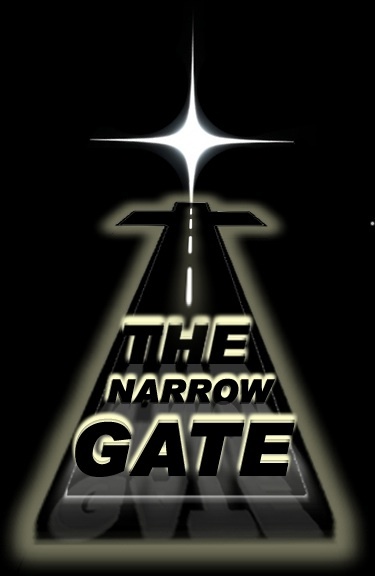 I pray brethren that the preceding discussion has been of help in encouraging you to move through the “narrow door” into a personal and private discipleship relationship with the Father through Jesus. If you have that desire in your heart then you can be sure that the Holy Spirit placed it there. Pay heed, then, to that desire and seek the face of the Lord in prayer. If He placed it there He will confirm it and bring you to the open door to the Kingdom! In this article it is my intent to discuss my reflections on the final transition from our consecration as disciples to our spiritual union with Christ. This is a stage to which we are all called but to which few of us attain, mainly because, even though our hearts truly desires such a union, the struggle with our natural selves and the world obstructs us to the very end of our lives on earth. Scripture clearly indicates that it is Jesus’ prayer to the Father that we all come into such a union so that we may all be one in the Spirit with the Father and the Son. Because of the weakness of our faith some take the words to merely indicate the destiny of the Church to be One In Christ, forgetting that the church is made up of us as individuals and in order for that unity to occur we must all, as individuals, come to that unity with the Godhead through the Spirit of Christ that is in us. In the previous stages of our transition to this unity we discussed how our spirits needed to be renewed through conversion and baptism into Christ by the Holy Spirit so that we are identified with Christ and He with us. We also discussed that in order for the Holy Spirit to conform us to the image of Christ we needed to yield to the Spirit so that we could begin the transformation through a renewal of our minds (souls). In that yielding we also offered ourselves up as a living sacrifice so that the Holy Spirit could work in us and through us to manifest the works of Jesus in and through our lives. This of course, entailed an empowerment by the Spirit of God that has been termed, “the Baptism in the Spirit”. This second stage, which progresses from our “new birth in Christ” is sometimes called the “discipleship” stage where we learn to follow Jesus by dying to self through the obedience of Love and carry this cross daily as part of our discipline. Those of us who are able to thus yield ourselves to the Spirit of Christ then come to a point of unity with the Spirit of Christ that all that they think, or say, or do comes not as from themselves but as an emanation of the Spirit of Christ that dwells in them. And actually, of course, He dwells in all who truly belong to Christ, but for reasons that are peculiar to each person, we are prevented from maturing sufficiently to reach this stage of Unity with the Divine here in this world. Now all of us who belong to Christ will ultimately be one with Christ in our next life in the Kingdom. So our ultimate salvation is not at stake, it is only our ability to be fully His representatives in this world that will be diminished to the degree of lack of union with the Spirit of Christ that is in us. It is the Father’s purpose for sending His Son to redeem us, not only to save us, but to multiply the presence of His Son in this world, through us so that we might be His Partners in continuing Christ’s ministry here on Earth, until He personally come for His Bride! Praised Be His Holy Name! I know because I not only asked myself this question, but I also asked it of the Lord. Here is His answer, not only to me but all of you who are Seeking His Kingdom – a Kingdom that is only fully realized when we are united with the King in Spirit. “My son, you have been seeking the Kingdom – you have desired to enter into my Kingdom. I am answering your prayer even now. “Yes, there are obstacles in you that have been preventing the Kingdom from manifesting in your life. I am about to remove these obstacles, but I need your cooperation – your willingness. For you see these obstacles are self-inspired and removing them will cause you some discomfort. But I will give you the faith and strength you need to overcome these obstacles and cast them into the sea. “I will reveal these obstacles to you one-by-one and together we will remove them from your life. As each one goes you will see more and more of the Kingdom manifested in you life. It is what I have always desired for you but you were not ready to receive this stage of manifestation. “Through the work of my Spirit, you are now at the entry stage – only give yourself totally to me. Die completely to your own pretentions, ambitions, and self-congratulating desires. Learn to seek My Heart, My Love, My Desires, and my Compassion. Let My Spirit rule in your heart, then you will sense the River of My Love flowing through you. Then you will experience the true fervor of My Love – for all humanity. But in order to arrive to this point you must decrease so that I may increase in you and in your life! Then and only then will you truly enter into My Kingdom! For about a week I meditated on what the Lord had Just told me when, during a prayer time, a Word from scripture, suddenly came to mind, confirming the Word He have me and leading me as to the path that I needed to take for entry into the Kingdom. The path I needed overcome my first obstacle my ignorance that it is through the intimate person-to-person knowledge of Jesus and His Promises that we become partakers of His Divine Nature, thus granting us entry into His Kingdom. Read for yourselves, this writing from Peter, and understand! To those who through the righteousness of our God and Savior Jesus Christ have received a faith as precious as ours: Grace and peace be yours in abundance through the knowledge of God and of Jesus our Lord. Therefore, my brothers and sisters, make every effort to confirm your calling and election. For if you do these things, you will never stumble, 1and you will receive a rich welcome into the eternal kingdom of our Lord and Savior Jesus Christ. If anyone, other than Jesus, is capable of telling us about the keys to the Kingdom it would certainly be Peter, to whom Jesus granted the Keys to the Kingdom. And in this scripture He is telling me that one of these keys is the “Key of Knowledge”. I understood then that it was my ignorance of spiritual things that was one of the things holding me back. And here the Holy Spirit, speaking through Peter, clearly lays out the path, in faith, that I must follow to begin my entrance into the Kingdom! Praised be His Holy Name! Through this understanding of the Word, I dedicated myself totally to Him and His Word, opening myself to the leadings of the Holy Spirit, so that in this manner I yoked myself to Him and began my walk into His Kingdom. And that is what I am encouraging all my brothers and sisters to do, who sincerely desire to come to an intimate union with their Lord and Savior, Jesus, the Anointed of the Father. To Him be Glory Forever! Amen and Amen! 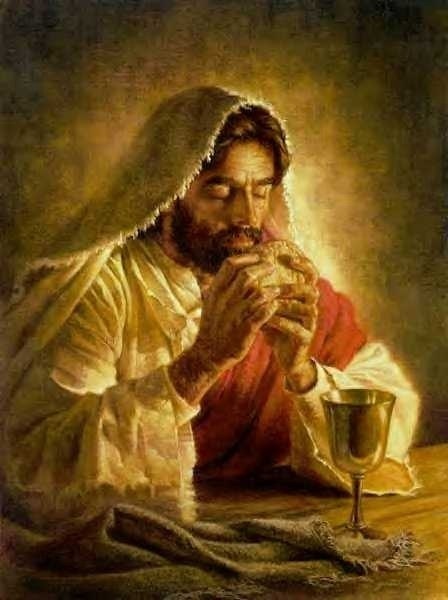 I also was given the understanding that, through receiving the Eucharist in Faith, not only, I would re-affirm my commitment to Him, but I would also be strengthened in my Spirit by His Abiding Presence in Him which is one of the Promises, mentioned by Peter, that make us partakers of His Divinity. I urge you, then, brothers and sisters, if the Spirit is moving you heart, to avail yourself of this opportunity and commit yourself to Christ as a living sacrifice and let him begin the renewing of you minds and your partnership with His Ministry to this world! But most of all brethren, I urge you to thank the Lord for all that He has done for you and the Holy Spirit for revealing Christ in you, our Hope of Glory, so that you can fulfill your calling and purpose. Give the Lord Praise and Worship as you come before His throne and bow down before Him, humbling yourself as you offer yourself to Him to become , in His Name, an instrument of His Love in this world and in the world to come. May it be so for His Glory for ever and ever AMEN! I only ask that you pray for me as I also walk along the path of spiritual Calvary. § Is He Truly Your King? Forgive me if I am very brief in the posting of this article but intervening circumstances have caused my wife and I to pass through a period of transition. Not between us but affecting both of us. Now, although the Lord has mightily manifested His Grace and Favor towards us, nevertheless we, in union with each other and Christ, have passed through a trial that the Lord used to continue His process of perfection in us. I dare not say any more until I have time for the Lord to complete His work in me. What I can say is that the Lord is faithful to His promises and, in faith, both my wife and I know that what has transpired is entirely for our good, and that He has placed us where He wants us and where He wants to bless us. Praised be His Holy Name! It is through such testing that the Kingdom of God is truly made manifest to us. When we see God working through the circumstances of our lives in such a way that we see His hand on everything that occurs and the persons who enter our lives to carry out the Lord’s plan we “know” with the certainty of faith that he is placing His hand on everything that is happening and the blessing that are coming forth in the midst of turmoil. And that is what I want to give testimony to today — that the Kingdom Of God is not just some theological fantasy! It is a reality! 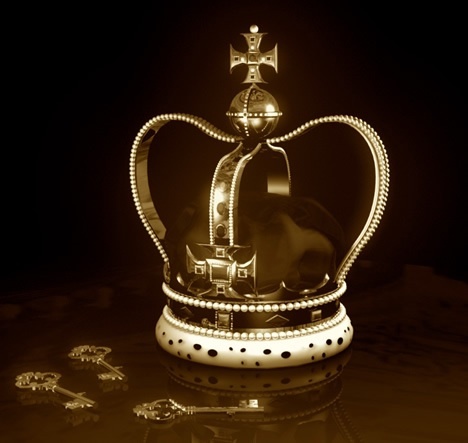 When you begin living out the Kingdom Life you immediately sense the presence of the King in your everyday lives. In what you do, in what you say, in the people who come into your lives, and most of all in the Favor the Lord provides you as you live out your lives in Him! This is the “Good News Of the Kingdom” that Jesus preached – the Good News that the Father wants to come into our lives and take part in our very living – He wants us to be His partners in bringing forth His Kingdom in this world- if we all only let Him! If only we really let Him be the King of our lives and not just a theological figurehead! What keeps most of us Christians from living out the Kingdom in our lives is that we, because of the self-directed human nature we are born with, think that when we are converted and come to Christ, that being a “good” Christian merely means that we dedicate our human efforts and energies to serve Him by doing good works, going to church every week, and attempting to be holy in everything we do. While that is certainly the way to get started in our walk with Him, it is NOT what the Lord’s ultimate or perfect desire is for us. His perfect desire is that, as we grow spiritually through His Word and prayer, we enter a state where we yield ourselves so completely to Him, that we no longer operate out of our own self-willed human energies but, instead, we die to our “selves” and let “Him”, the person of Jesus that is in us, be the motivator and energizer of how we live out our lives. That is what it means to truly let Him be our “King”! But coming to this state requires carrying the cross of our mortification daily, and that, my brothers and sisters, is our major stumbling block in being assimilated into Christ. My wife and I can certainly not assert that we are there yet, but we can say that we have begun to truly understand what living out the Kingdom really means and the struggle with our flesh that is required to attain to that goal. 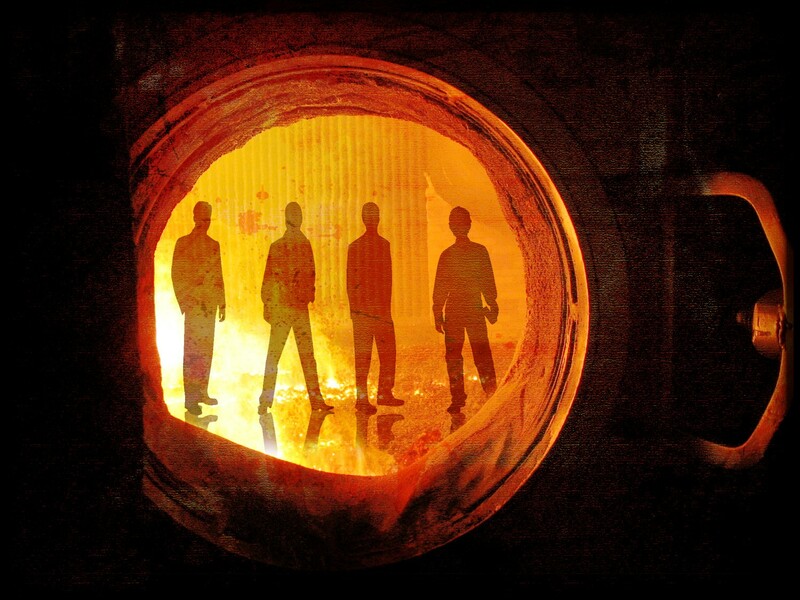 We, like Daniel’s friend who were thrown into the furnace, truly understand that He is present with us in in the furnace of human experience and will sustain us until we come out of that furnace into the paradise of His Glory. Praised Be His Holy Name Forever! Amen and Amen! I pray that this testimony will lead you to desire to enter into the Kingdom of God for His Glory and for that purpose I add a Prayer of dedication and some links relevant to this topic. It is because I have a burning desire to know you and abide in you that I now yield myself completely to you and your love. I open the door to my heart so you can come in and sup with me and thus begin the special relationship with you for which you died and for which I hunger.At this moment I yield myself to your love. Enter in and activate my spirit with your Holy Spirit so that I can go beyond just mere intellectual belief in you to a personal spiritual knowledge of you and the Father. I yoke myself to You Lord Jesus, cleanse me from my sins and make me a fit vessel for your presence. Permeate my entire being with your life and your love so that I can truly be your instrument in this world. 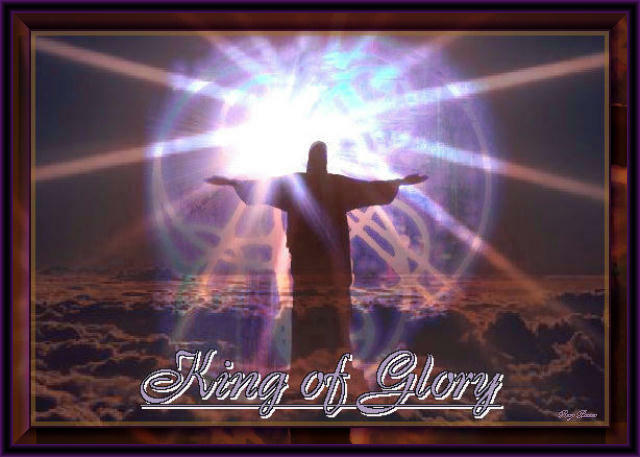 Be my Lord, Be My God, Be my King to rule and to reign in me. In faith and by your grace I receive You and I receive Your word. Abide in me just as you abide in the Father and the Father in you! Thank you for giving yourself for me. Amen! The Lord’s main intent for us in prayer is communion with Him in the Spirit. Prayer prepares us for worship – a worship that cannot be accomplished save “in Spirit and in Truth”. It therefore, behooves us to ask the Holy Spirit to lead us in growing spiritually by helping us to understand how to grow in prayer so we can come to the personal intimacy with the Father for which we were created. Let us first discuss the distinctions we humans have made in attempting to understand what true prayer entails. A distinction is sometimes made between vocal prayer and mental prayer. 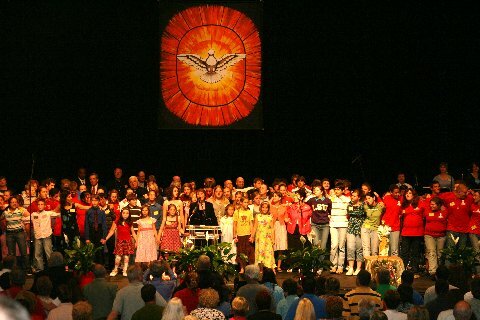 Vocal prayer being that category of prayer that encompasses all prayer that is expressed in words. Mental prayer, as I understand it, refers to all non-verbal prayer that depends on using mental disciplines to reach into the depths of our inner person in such a way as to achieve communion with the Divine at the center of our being. Both of these categories of prayer, as valid as they are, involve the use of our mind in some fashion or other. What the distinction fails to capture is another mode of prayer that bypasses the mind altogether. Paul calls this category of prayer, “praying in the spirit”. Prayer in the spirit may be both verbal and non-verbal and does not involve any mental gymnastics, it is one of the spiritual gifts. This type of prayer is infused by the Holy Spirit and permits our spirits to commune directly with God both with and without words. Now, verbal and mental prayer may eventually get us to the same point (that is, at our spirit level) but it is accomplished using human effort and mental discipline. The scripture tells us that when John the Revelator was in prayer on the Lord’s day he “was in the Spirit”. Now many assume that he was in a state of ecstasy and that may well be true. But the way he entered that state was most probably not through a mental discipline but through the gift of “prayer in the spirit” which is available to all Christians. Paul further tells us that the main purpose of praying in the spirit is for self-edification, that is, spiritual growth. Though “praying in the spirit” may get you to a state of ecstasy, the normative practice is usually much different. That is, we do not lose the use of our natural faculties, they are fully functioning and can interrupt our prayer at any time. We merely let our spirit take over in doing our praying without involving our natural mind or our emotions. There are some effects to praying in the spirit, but all of them are desirable. The most common being, a sense of great peace that permeates your being, a feeling of thankfulness to God, and an awareness of His Manifest Personal Presence. Sometimes His love comes over you so powerfully that your body trembles and you sense Him touching those places deep within you that need His healing touch. On more intense prayer occasions your body seems to float away and you drop to the floor carried away by wave after wave of His Love sweeping over you. We must always be careful, however, not to let consolations such as these divert our motives for prayer. We pray because we are giving of ourselves to our Creator and not because of what He can give to us. There are times when there are no consolations at all but because our faith has grown we give of ourselves regardless. This is when our prayer is at its purest because it is not tinged with self-interest. True inward prayer seeks to lose our very selves in Him much as a droplet of water is loses its identity when in falls into the sea! 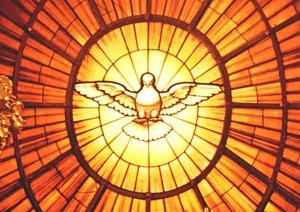 I would urge my readers who really desire to go deep into prayer and spiritual growth to seek this Holy Spirit- induced form of prayer rather than resorting to human methods and techniques, In order to do so, you should to seek a “release of the Holy Spirit” in your lives so that the Holy Spirit might provide the gifts you need to truly empower your prayer life. I assure you that this will not exclude any other mode of prayer but instead will strengthen and complement them and lead you to new levels of spiritual growth. In fact I would not move into deep meditative or contemplative prayer without the spiritual gifts. You see, as we enter into a deeper prayer life we are basically opening up our spirits to the spirit world and without the gifts of discernment of spirits, wisdom, and knowledge, we could be caught up in a spiritual deception which might divert us from the true faith. There are forces at work in the spiritual plane, which would take advantage of our naïve and thus unprotected openness, if our spiritual senses have not the proper defenses. Because of this, it is important that before we go to deep into meditative prayer we also seek the aid of a spiritual director as well as the Gifts of the Spirit. One of the difficulties some of us lay persons face as we attempt to grow spiritually is that we usually do not have access to adequate spiritual direction. In such cases dedicated prayer and a strong grounding in the Word of God is absolutely necessary. Remember to seek the Holy Spirit, who has promised to bring all things into remembrance, and depend on the anointing we have through Him in the inward man. That anointing is there to teach us through our spirits regarding the things of God. 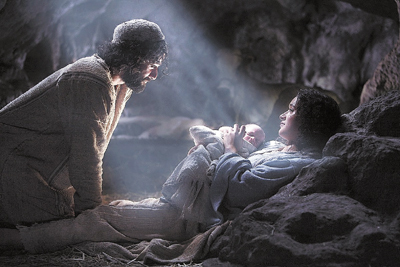 It was always the Lord’s desire for His children to come to him so that they could enjoy a full relationship with Him. Until Jesus, His Son, came to redeem us however, the way to union with the Father was obstructed by man’s fallen nature. Jesus came to be the Door or the Way to the Father. He himself said “I am the way, the truth and the life. No one comes to the Father except through me”. By this statement Jesus was not only telling us of His role in salvation but He was also indicating to us that He, and He alone, is the only safe pathway to the Father through inner prayer. Using the imagery of Old Testament rituals, the Lord God presented this pathway to those who were sensitive to the move of His Spirit. You see, “the WAY”, “the TRUTH” and “the LIFE” that Jesus was referring to were allegorized by the design of the Tent of the Meeting (the Tabernacle of Moses). 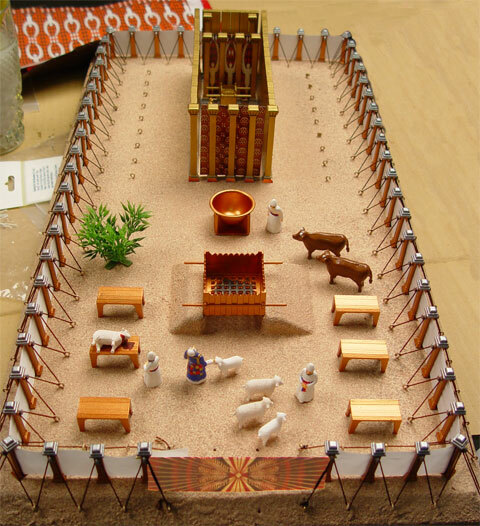 The Tent of the Meeting (or Tabernacle), as we all know, had three principal areas:1) The Enclosure, which contained the Altar of Holocausts and the Laver, 2) the Holy Place which was the foyer in the Tent of the Meeting and which contained the Table of Showbread, the Menorah, and the Altar of Incense, 3) the Holy of Holies which contained the Ark of the Covenant on which was the Seat of God’s Presence, The Mercy Seat. The WAY, which Jesus referred to was the way through the entry of the enclosure to the entry to the Tent of the Meeting. Upon entry to the enclosure, Jesus is symbolized in both the Altar of Holocausts and the Laver. 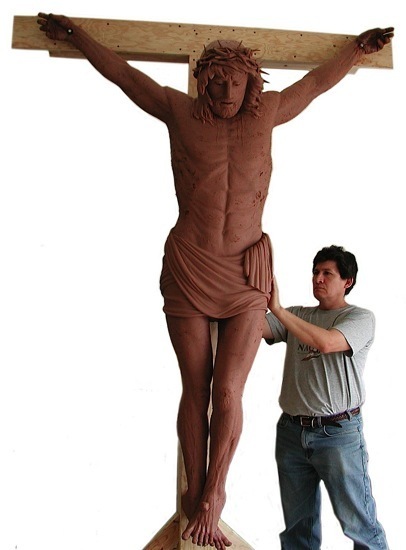 In His crucifixion He was our Holocaust opening the way to the Father by dying for our sins. He was also the Laver that washed us by the Word so that we could enter into the tabernacle not only covered with His blood but purified by the Word. Once inside the Tent of the Meeting, Jesus was also the TRUTH symbolized by the Menorah because He revealed the truth of the Father to us. He is also symbolized in the Table of Showbread for He indeed was the Bread from Heaven. Because He sacrificed not only his body but His Soul as well, this was the sweet smelling incense on the Altar of incense that was the last item before the curtain to the Holy of Holies. When He died, the curtain of separation between God and man was torn open so that through Him we might have access to the Holy of Holies. 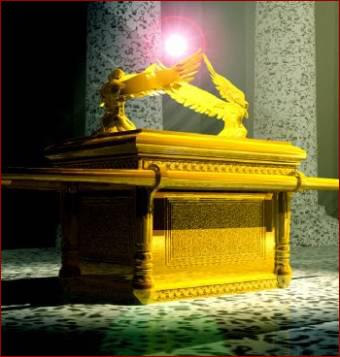 And, of course, most of all, He was symbolized in the Ark of the Covenant with its combination of wood and gold (human and divine) which was the place of God’s Presence, the LIFE. In the same way, the symbolism of the Tent of the Meeting, may also be thought of figuratively as a guide or pathway to the different levels of inner prayer. These levels have been historically identified as: The Purgative Way, The Illuminative way, and the Unitive Way. Those familiar with the mystical work, “The Cloud of Unknowing”, will also immediately associate the levels I am indicating here as corresponding to the levels of spirituality indicated in those writings, namely, The Common, The Special, The Singular, and The Perfect. I use the symbolism of the Tabernacle because it is more meaningful to me since my spiritual journey has been guided by my meditation on scriptures. Please understand that the analogies are only useful for our human minds to attain a focus in preparing ourselves for inner prayer, they are merely the rungs on which we may ascend the spiritual ladder no matter how our mind envisions them or what metaphors we use to name them. In fact, as you will see that when we enter the phase of inner prayer that I term “the Tent of the Meeting”, we must divest ourselves of all thoughts, imagery and symbolism even our consciousness of self. For the sake of illustrating the spiritual journey, I resort to this analogy because otherwise I would not have any words to express what it involves. When most of us begin our spiritual journey we are nowhere near the enclosure or the Tent of the Meeting. We find ourselves as the Israelites did, in the Camp, this is the “Common” level mentioned in the “Cloud”. In the Camp we are considered part of the people of God, we are under His protection, and we participate in the prayers of the community and its rituals. The world with all its temptations and terrors is outside the Camp making incursions and tempting us with its allure. Inside the Camp, we are made aware of a separation that exists between ourselves and the Tent of the Meeting where God’s Presence abides. We see a large fence of white linen (signifying righteousness/holiness) held up by poles of brass (signifying judgment) because of this we have the sense that the furthest we can approach is the entrance to the tent and then only with our sacrifice in hand. This, then, is the first level of inner prayer, The Purgative State, which also corresponds to the second level termed “Special” in the “Cloud”. It is where we come to an inner understanding of His Love and where our desire to give ourselves totally to Him is inflamed. In this level, through the Blood of the Sacrifice, we come within the enclosure and our prayer here is at the soul or mental level (sometimes termed the purgative or meditative state). At this level we renew and purify our minds through meditation on the Word to reach an understanding of our own sinfulness and what Jesus’ Death and Resurrection really means with regard to our being able to enter in to God’s Presence. At his level, even though guided by the Holy Spirit and centered on the Word of God, we see everything through the natural light of our intellect and reason. Our prayers at this level likewise emanate from our sanctified, yet very human, mental capacities. Prayer at this level is necessary because it prepares us to go into the next level, where we literally must lose our very selves. When the Spirit leads us (and only when the Spirit leads us) we begin to move from the meditative or “special” state to the next stage where we enter into the Holy Place of the Tabernacle. The actual tent of the tabernacle was covered with several layers of animal skins so that the light of day could not penetrate the inner environment. So also, when we enter in to the spiritual tabernacle of our inner selves (the “Singular” state), we enter into an environment that is beyond the light of our senses, our thoughts, and our reason. In fact, when we enter in from the bright light of the outside we think that we are in darkness because we cannot detect any light, at least not any light that we are accustomed to. This darkness represents the self-deprivation of that which derives from our natural faculties because we seek only the One whom we love, the One who is unknowable and beyond the reach of our faculties, only through the spiritual impulse of our love can we draw near. It is only when we darken our senses and our thoughts that we can begin to draw near to Him who is at the center of our being. 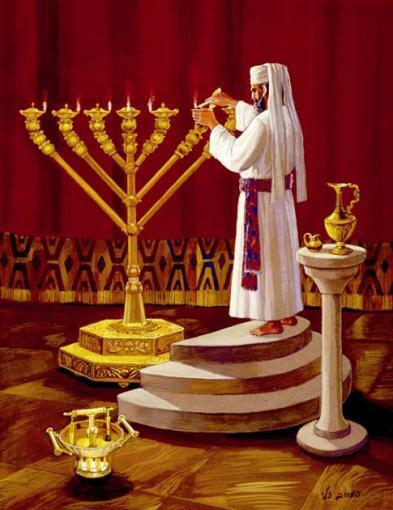 Speaking allegorically, after what seems an interminable duration in this state (for we begin to lose the sense of time), we begin to sense a low flickering light (in our spirit) that we think of as coming from the inner “Menorah” within us (the Spirit of Truth”). We also see before the Menorah a golden table with small loaves of bread. We have now entered into the Illuminative or “Special” stage of our prayer journey. The light we see with is that of infused knowledge (external to us) where the Holy Spirit brings us to the knowledge of the TRUTH and by that light we begin to understand God’s Love (the Showbread) expressed as His spiritual sustenance (the Bread of Life, His Word). As the Holy Spirit immerses us in this sensory deprived state we begin to lose our notion of “self” and begin to be immersed into the great river of LIFE that is streaming from the Holy Place. Just before the curtain, which separates us from the Holy of Holies, is the Golden Altar of Incense. As our final step before entering the Holy Place, we, acting in the place of Jesus, place what remains of our self-life on that altar and we offer it to the Lord as a sweet smelling offering. As the incense (our souls) is consumed, the smoke (of our outer self-life) hinders even the inner sight with which we are granted to see the holy curtain before us separating us from the Holy of Holies. 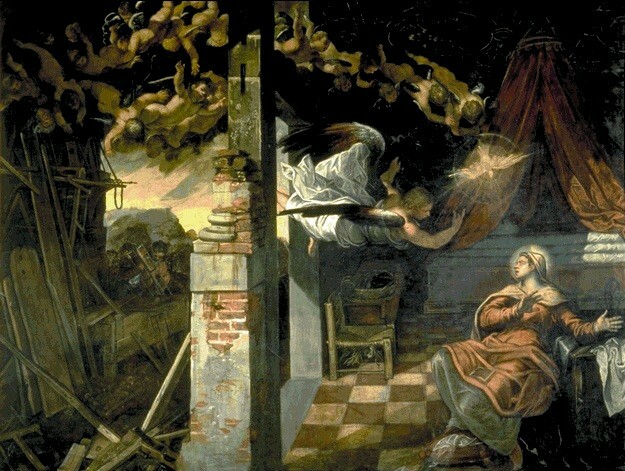 Continuing with our allegorical spiritual journey, we imagine ourselves groping to open the curtain as we enter the Holy of Holies (the Perfect stage) , the light of the Menorah, is shut out and, again, darkness surrounds us, an even deeper darkness than before (the dark night of the spirit). As we let ourselves be absorbed into this darkness we are spiritually in a state of awe approaching despair not only because we become extremely aware of our own unworthiness but also because we sense a complete powerlessness and helplessness. After what seems a timeless period, we begin to be aware that we not only stand in the Presence but we are being drawn into it. Slowly, as we are immersed into the Presence, a Glory of Light begins to surround us such as no light we had ever experienced because it is not “light” as our senses know it. It is pure spiritual energy. It is as if we are being assimilated into this “Light” and are no longer sense ourselves as a separate entity but as one with Him, where we are permitted to understand the very Heart of God. Then, as suddenly as it began, we find ourselves outside the Tabernacle. Later we surmise this duration to be but an infinitesimal increment of time. And yet nothing in our lifetimes will suffice or match what became of us in that timeless interval. Likewise, there are no words to describe or even utter what has transpired because it is beyond all human thought or experience. When we return to the Camp, as we always must, we, like Moses, are entrusted to bring back to the community the vestiges of that Eternal Light which clings to us, not for our blessing but for the blessing of the persons with whom the Lord has placed us in relationship. In this way the Lord causes us to be channels of His Light and His Life to this world which lies in darkness. This is why we carry an awesome responsibility to be JESUS to those around us! Praised Be His Holy Name! Adequate in the sense that the spiritual director is led by the Holy Spirit at least at the same level as the client. Chapter 1 of the “Cloud of Unknowing”, Author Unknown, circa 1350 AD. [Thy Kingdom Come! Reflections on Personal Spirituality, Prayer and Worship.